Rooms are available for rent for longer periods with reduced prices. Special discount for students and artists. 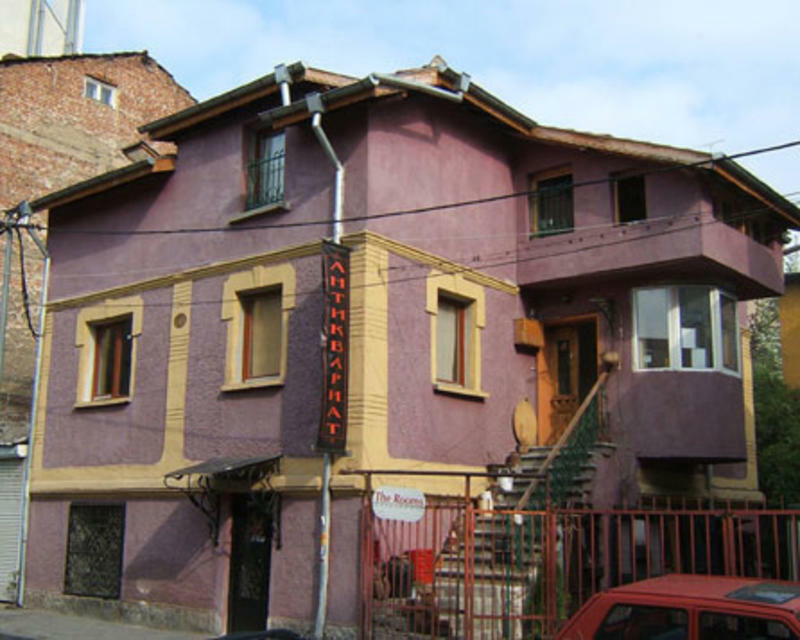 This is a small guest house in the center of Sofia. The place is attractive because it's new reconstructed house and very clean. Every room has a bathroom and toilet. With more privacy And at very moderate price. The rooms in 'The Rooms Guest House' are of completely different character. You can choose between the small romantic 'Blue room' equipped with a comfortable double bed and the stylish atmosphere of the 'The Belle epoque' room arranged with authentic antique furniture. You can also enjoy the adventure spirit of the 'savanna room', which will remind you the interior of cabana. Every room is equipped with their own toilet and bathroom. 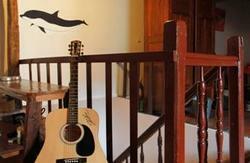 With respect for your privacy we offer two and tree bed rooms yet at moderate price. In the common room you can have a free tee and coffee any time and have a conversation with international guests. You can have an actual information about current art events in the capital. Railway / bus station as well. You can have here a typical Bulgarian breakfast. Around the hostel you can also find a cheap places to eat. In a walking distance you can go to the biggest shopping center in the City. Clean and fresh ironed sheets, blanket, pillow and towel, 24-hour running hot water, wireless Internet access, locker, common room. Discounts available for student or members of the art programs, who stays for more than a week. 1-day trip to one of the most remarkable monuments on the Balkan Peninsula and one of the nature miracles in Bulgaria Stob sand pyramids. 1-day trip to one of the few thoroughly preserved architectural ensembles of the Revival Period. 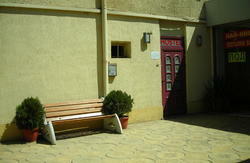 Departure at 9 a.m., stop for a guided tour in town of Lovech - famous from Second Bulgarian Kingdom time. Lunch in 'Varosha' restaurant. Departure to Krushuna in the early afternoon. 1-day trip to one of the most interesting mountain monasteries in Bulgaria and to a cave Sueva dupka cave. 2-day trip to the city with old history and a lot of beautiful man, 80% of them gay, and visit to Thracian cult complex near Starosel. 2-day trip to nature phenomenon Belogradchik rocks, handmade carpets` center town of Chiprovtsi, Magura cave and adventure in west Balkan range region. and the second Bulgarian capitals. Visit to villages with preserved atmosphere from Bulgarian Revival period. Transfer to Sofia. Arrival about 10 p.m.
Departure at 8 a.m. for Varna. 6 hours to reach the Black Sea. Arrival to Kranevo village north of Varna. Afternoon at the nudist beach near Albena resort. FROM THE RAILWAY STATION YOU WALK DOWN MARIA LUIZA BULV. THAN YOU CROSS THE BRIDGE WITH THE LIONS AND THAN TAKE ON THE LEFT SITE ALONG THE BOULEVARD SLIVNITSA. THAN YOU TAKE THE SECOND ON RIGHT AND THAN THE FIRST ON LEFT. THIS IS POP BOGOMIL STR. THE HOSTEL IS 50 METERS FROM THE CORNER. PURPLE HOUSE WITH YELLOW AROUND THE WINDOWS. WE HAVE A VERY SMALL SIGN IF YOU HAVE ANY PROBLEMS TO FIND US CALL to the number on your confirmation email. ATTENTION! Two other cheap hotels on the street recently changed their signs with ROOMS. That is confusing for some of the guests. To avoid this problem and find the way to the Rooms hostel always check the address. You have to look for number 10, Pop Bogomil. Central Sofia - between the 2 main streets of Rakovski and Maria Luiza. We are closer to rakovski which is the better part. 10 min walking from the busrailway station. Contact us before you arrive for exact details.